Reviews are something I feel are often misunderstood. As a critic, I am not trying to force anyone to feel a specific way about a piece. I simply analyze work and display my thoughts about said project. Should the writing of a critic serve as advice on whether or not something, whether it be an album or a movie (in my case), should be checked out? Yes, but not on a crippling level of absolute. 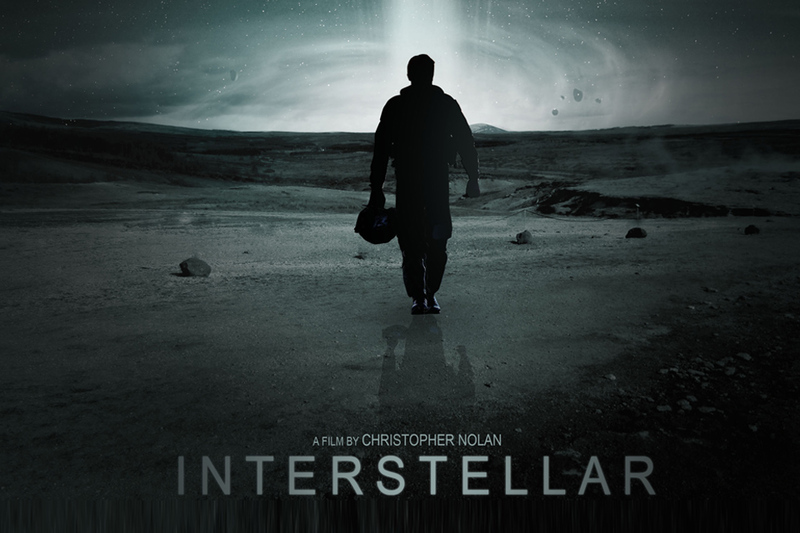 When something like Interstellar comes out, I feel like it is a tantalizing test. I begin to question what my position as a writer is. Here is a science fiction epic that many of us have waited for, and the general consensus is that this movie was just alright. It wasn’t the opus people had expected. I left the film traumatized to the point of finding it hard to swallow with such a lump in my esophagus. I was anxious and shaken up because of the film’s strengths, not it’s flaws. Having studied film, I have found myself to be more like Gene Siskel when I approach a new movie, where I pick apart everything academically. What aspect works? What doesn’t? Is this part well done? The reason why Siskel and Ebert worked well as a feuding duo is because Siskel was fixated on the technical aspects of films while Ebert just wanted to be in for the ride, regardless of how the roller coaster was operated. Interstellar is a rare time where I can notice the slow downs on the track and even the weird turns that didn’t make much sense and still not care. When the journey drops, it does so with speed, steepness and gut wrenching agility. The primary, and the only main, issue worth talking about is the hiccups in the story. These are massive and impossible to ignore, even if you are on my side of the fence. There are plot holes the size of swirling black holes, and there is the sentimentality of a movie that Spielberg would make if Hallmark wanted him to direct a movie. Nonetheless, these are easily forgivable to me. They may not be to you, but I have no problem acknowledging their existence while enjoying the rest of what this movie had to offer. The story is straightforward but told difficultly, as are most Nolan movies (where Inception is so much going on but is still essentially a heist movie). Here we have a father and daughter who love science. The rest of the family is close with this father, but not like this intrigued daughter of his. You’ll see a statement on agriculture and the resources of the world through this family as they live on a farm. You’ll also see Christopher Nolan’s stance on the urgency that technology and space travel requires, as this father, played by Matthew McConaughey, a former pilot at NASA is suddenly seen as exactly what the world needs; This very world that dismisses the lunar landing as a lie. There are two stories being told within different (and correlating) time frames: The story on Earth (led by Jessica Chastain and Michael Caine) and the journey in the great black ceiling above us (led by McConaughey and Anne Hathaway). The simple story here is that love is possible the most indescribable thing on Earth (even amongst complex physics and supernatural occurrences). Love is what propels a lot of the plot in the movie, and it leads to questionable decisions. These people can try to discover theories, equations and algorithms all they want to understand the universe, as they are dead set when it comes to their feelings. Interstellar is both a trip to other galaxies and into the human soul. The problem is that many science fiction films stick to being ambiguous for good reason. We are only hypothetically speaking about what is inside the contexts of the movie when we are unsure of what explicitly has happened. A good example is the poetic nightmare from earlier this year Under the Skin. How much can you pick apart from a film that is already asking you to do most of the work? Interstellar tries to deliver the film’s exposition for us (which can be found in a lot of the dialogue–take from what what you will), so the parts that don’t add up will be blaring because we are already guided into the movie’s think tank. This may make you look for more holes that are clearly taken care of by the movie, but the point is that you may still be looking, rather than enjoying the film’s feats. These feats include the magnificent aesthetics offered. Interstellar is by far and beyond one of the most beautiful movies I have seen in a while. The special effects will be impossible to top this year, as the travels into the dark beyond are even impossible to describe. On an IMAX screen, you will feel like you are in movement at times. The film’s depictions of the universe make complete sense while being gracious and spellbinding about its theories. Even the cinematography back on Earth is lovely, with the dooming dust storms covering the world with thick layers of filth. Hans Zimmer’s score is risky and extremely eerie, as the music he has composed can be linked to his work from Inception and the music found in films like The Tree of Life, Under the Skin and more. Combined, Interstellar is a harrowing experience that will attack both your sight and hearing. The cast is top notch with a terrific lead performance by Matthew McConaughey. Hathaway and Chastian are superb as well, and all three actors have high chances of being nominated at this year’s Academy Awards ceremony. Rounding up this star studded cast is Michael Caine, John Lithgow, Ellen Burstyn, Wes Bentley, David Gyasi, Casey Affleck and more, as well as the voice talents of Bill Irwin and Josh Stewart as box-like robots. The casting was well done, and everyone involved added nuances to the movie that may have been left out by the dialogue’s need to get the exposition out. There is also a surprise appearance that was not discussed at all by any promotional work for this movie, so I won’t spoil the mystery guest here. However, this guest has a significant part and their hidden identity ends up being a huge reason as to why this character ends up being such a pivotal part of the film. Interstellar is far from perfect, but I feel the need to go with my gut here. Love is what propelled the movie, and it’s what has me fixated on it. It has issues simply because it was, perhaps, too ambitious. It asked too much and tried to answer it all within three hours as a result. The beginning could have easily had more time invested to build up the actual story, and the plot holes could have been solvable with more work. However, Interstellar hit me like no other movie has this year. It has been the visceral ascendency I have been searching for from a film this year. It boasts (easily) some of Christopher Nolan’s best directing work, and the movie is truly astonishing when it hits its mark. It will dig into philosophical territory and even go as far as to try and explain why and how we exist. There is a definition of what the universe truly is in Interstellar, and how everything works. Where, exactly, are we? Anyone with the audacity to take that on alone receives some form of kudos from me, let alone when the result is as prodigious as the ponder that Nolan had when he and his brother Jonathan Nolan came up with Interstellar. I had to review this movie with an Ebert-ian philosophy that the overall experience is what counts because it felt right. Many have concluded otherwise, and in the end it’s your own opinion that counts. This is mine. Interstellar is the film that’s one of my favorites of the year, even with its problems.